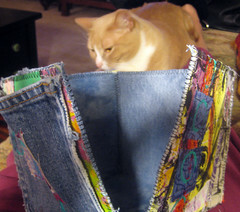 Left over blue jeans and some cloth? create a cool and useful Studio Box. 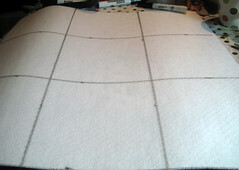 On Peltex or Timtex, I measured a grid of 6 inch squares. I cut out 4 sides and the bottom, as one piece. 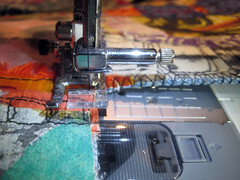 Using black thread, I free-motion machine stitch the pieces down. 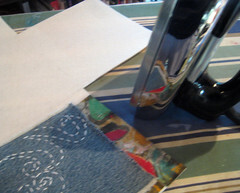 The peltex I was using, has a fusible side, so I ironed the larger pieces down, before stitching on them. I had a jeans pocket, so I stitched it to one side of my box. 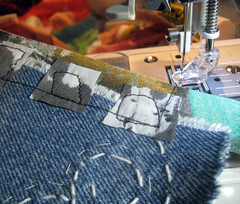 I didn't think my machine could go through the french seam thickness, so I sewed just inside the pocket through just two layers of denim, onto a piece of fabric and through to the peltex. 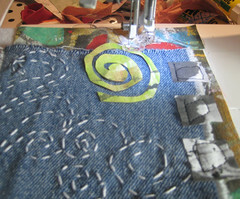 More stitching, hand and machine stitching, working one side at a time. 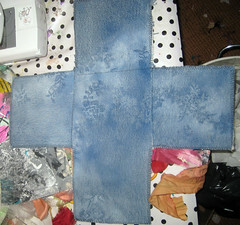 I did some hand stitching, on the 4 sides, before I added the backing. You can add buttons, beads too! 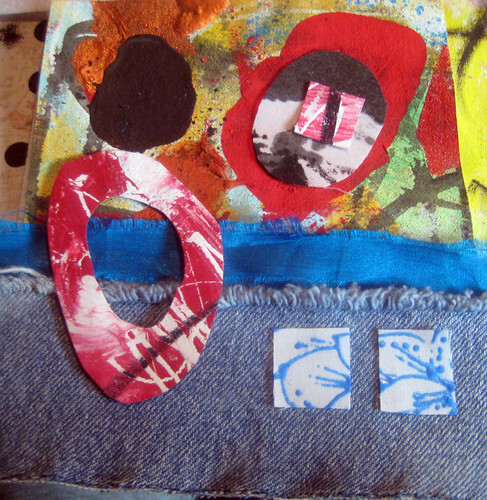 For the lining of the box, I used more denim. (I'd spray painted it, with lace as a stencil, using spray gesso.) 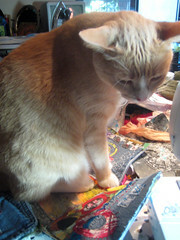 I used a fusible webbing to hold down the deninm. 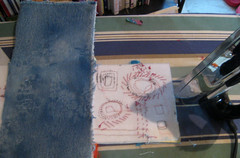 You can see my stitching on the right, so the denim interior will cover all that up. 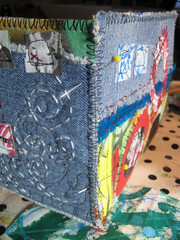 I finished with the box adornments and lining, I zig-zagged all the edges. I only did one pass on the machine, you could do more, or a more dense stitch to make it more perfect. 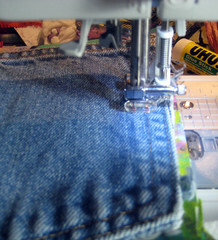 Since I had two interior seams on the denim, I straight stitched those, to secure them. 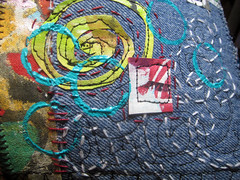 Pinned together, I hand stitched one side at a time. 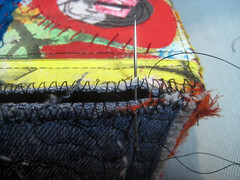 Be sure to make a knot every once in a while, as you stitch up the sides, just to secure your stitching. A impulsive, but excellent addition! I stamped some acrylic turquoise circles on all four sides! You can see the red hand stitching here. A wonderful Studio Box! and no worries if I splatter paint on it! and I could even store my yarn and knitting needles in it. I'd better make some more! 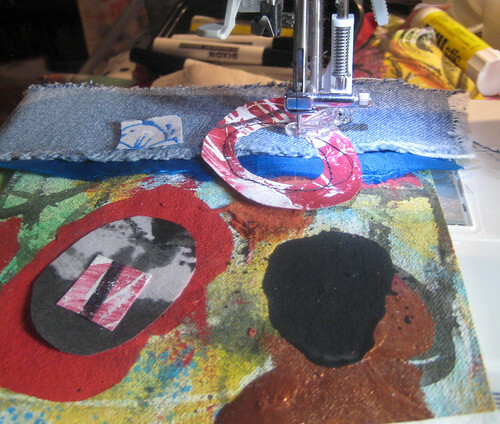 This makes me want to get out my sewing machine right now. I just love it, and I want one. What a clever and fun solution to your trade. Ok, so much for my plans for today. I HAVE TO MAKE ONE OF THESE BOXES RIGHT NOW! Thanks for sharing!!! I love it, love it, love it! This is fantastic Jane! I love Alisa's influence and you making it into your own. Love to make a box like this, what is Peltex? Yours is beautiful!!! What a BRILLIANT idea! Now why didn't I think of that? 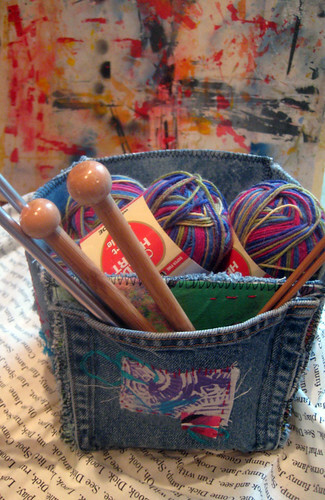 Just finishing your Joggles class, so still have painting to do, but I really want to make one of these boxes. What fun! Thanks for the inspiration...again! This is a GREAT idea and the tutorial itself is very thorough. I am going to make myself one this afternoon. Keep these fab tutorials coming; I can't get enough! I think it might be the perfect gift idea for my knitting daughter! I love the idea. I think I'll make some for gifts. Thanks! Great idea and great tutorial! Thanks for the inspiration. Nice work Jane! Going to FB it! I think you are becoming the queen of the quick and easy-to-follow tutorial! This is nice. LOVE LOVE LOVE THIS Jane... You GO GIRL! AWESOME! 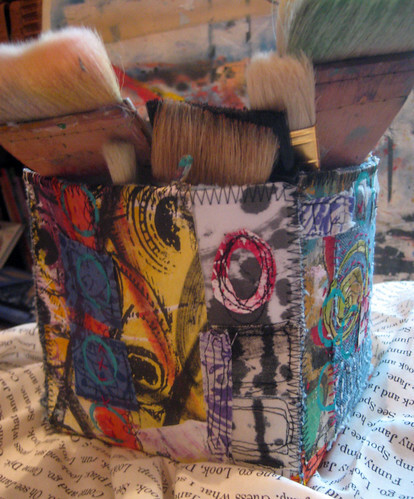 I can't get enough fabric boxes...they are so whimsical. Love your new header too Jane. It's scrumptious! Excellent project. Thanks for sharing!!! 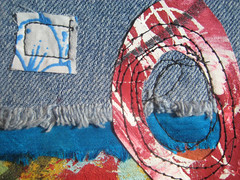 I love denim, recycling, texture, hand embellishing and this idea! Very clever, Jane. Just finished your online sketching/water colour class. Loved that, too. Absolutely too cute and such a neat idea. 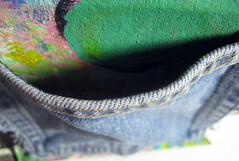 Great thing to do with old jeans...holes would even add more character and who doesn't have some holey jeans. 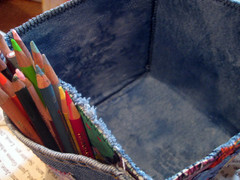 Drop a couple empty soup or vegie cans inside and the pencils or brushes can be easily organized and still look snazzy. Très beau challenge... Belle réussite commune. J'ai eu beaucoup de plaisir à découvrir votre blog grâce à votre amie Alisa. Je reviendrai vous voir, bises. I came to visit you by Alisa's blog. Immediattely became a follower . What a great box .I love it .Thanks for charing this with us! Such a wonderful project! BRAVISSIMA! How awesome is that!! I am so inspired by your work. Thanks for the detailed post. I will try out one for myself. AWESOME!! WOW. This is the coolest project EVER. 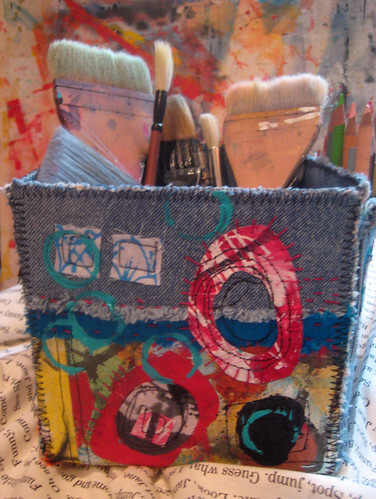 I have a whole drawer of scraps and now I know just what to do with them...decorate my denim studio box!! Perfect Christmas present project too! Hopped over here from Alisa's blog and am I ever glad. 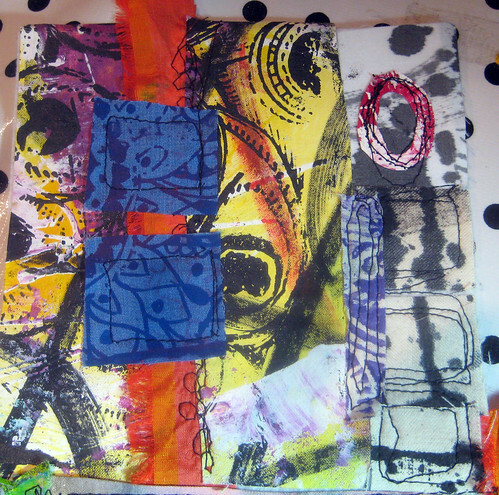 LOVE your studio box and I am now following your blog too. Happy Holidays. Really neat! Love your header, Jane. You're always up to something! When do you sleep? Love this! I will be making one of my own. Thank you for the inspiration! I LOVE this! I will have to make one. 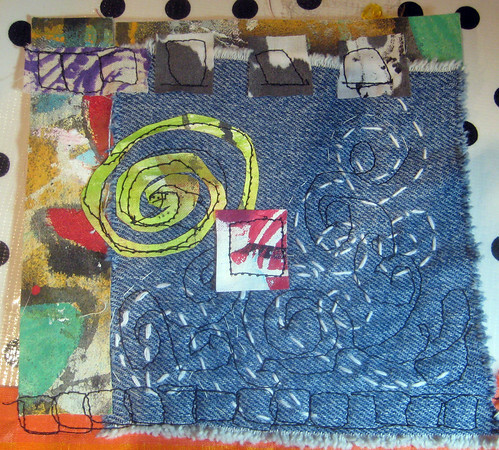 I might have thrown out some old jean material! Oh, no...gotta go dig it out of the trash! Thanks for the tut! I'm inspired. I absolutely LOVE this project!! Gotta try to do it soon! This project has been on my todo list for quite a while. Thanks for reminding me and yours is absolutely beautiful! 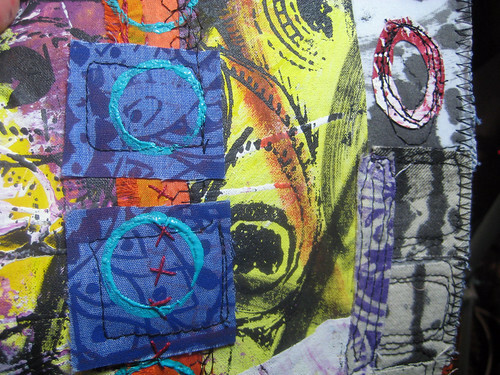 Now this is a project every artist has a use for...how absolutely fabulous! Thanks bunches for sharing. I love this idea. Thanks for the inspiration. I need more old jeans (need more pockets)!!! 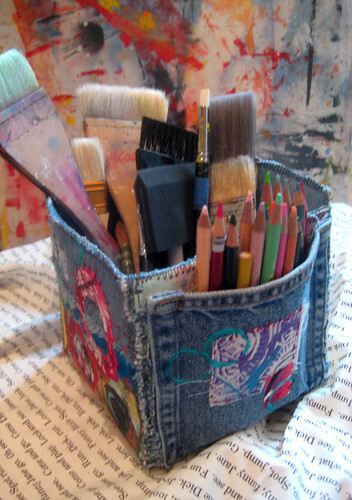 I just 'up-cycled' a pair into a 'Journal on the Go' cover so I could easily carry my journal, pens, markers, etc. 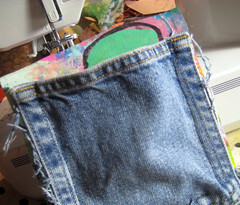 Jeans should be made with more than just 2 pockets! I know I can make more, but I like the look of the manufactured ones. How cool! I wouldn't splash paint on yours because it is FABulous. Mine may be a little more splash-able, once I finish it. Will make a great gift as well! I found you on Welcome Wednesday linky party. what a great idea. 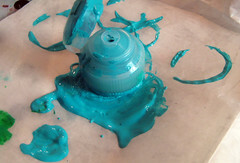 I need something like that now that I'm learning to paint. I don't have anything other than a paper bag to tote my things in -- this will be much better. Awesome tutorial!! 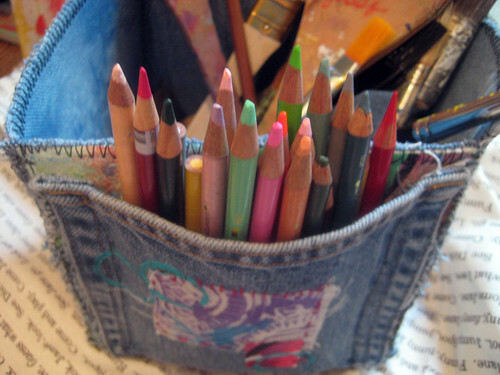 definitely have to make some of these--i think they will make great gifts for artsy friends too!! Thank you for sharing!! lovely idea, I will have to give it a try, I always need more little storage boxes! What a fabulous piece! I love all the details and colors. It is just perfect, I will have to see if I get around to making one. ( www.carolynsfunkyfurniture.blogspot.com)so this was soooo attractive to me. Great job! 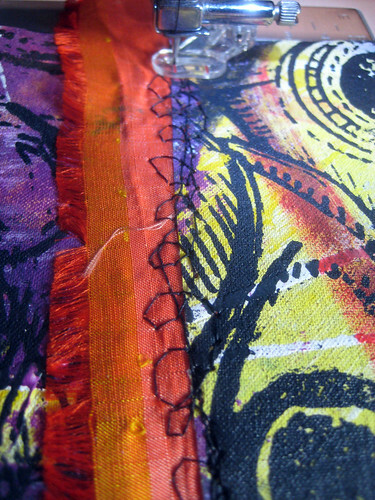 It makes me want to sew! Thank You So Very Much For Sharing. 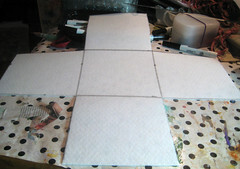 Could The Squares Be 8" Or Would It Become To Unsturdy. Magnifique, l'idée, le tuto, tout! I want to be Wes Bruce when I grow up. sock monkey, 1 in a series of ?? ?